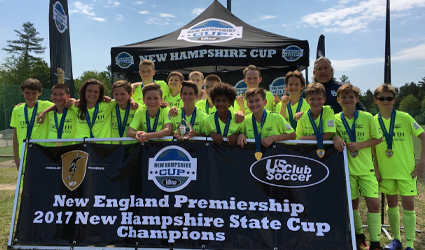 EPPING, NH – Seacoast United Soccer Club had a jam packed weekend hosting the NEP New Hampshire State Cup Championships for both boys and girls on June 10th and 11th in Epping, NH. 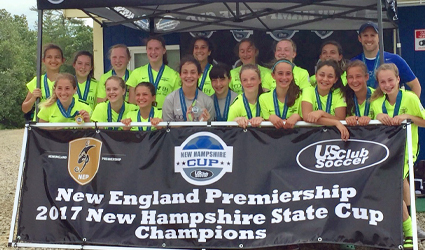 With teams in all U13-U17 divisions, Seacoast United was prepared for two days of competitive play against other top NH clubs. Seacoast United not only had eight teams with spots in the finals, but six of those teams took home their division’s championship win. 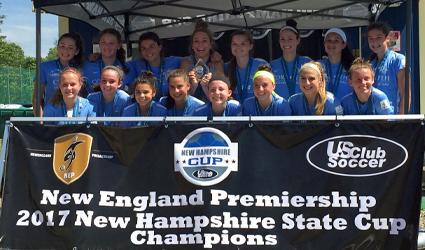 What makes these 2017 State Cup championships so special for Seacoast United is its teams finished first in all five of the girl divisions. 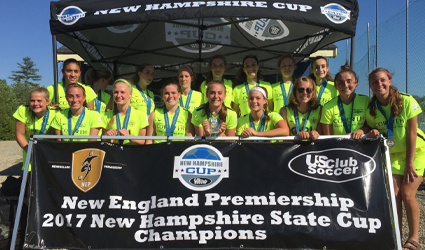 This is a fantastic achievement for the club, sweeping the girls side of this year’s NH State Cup. 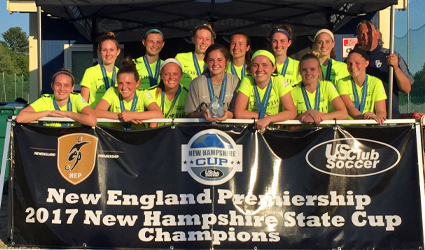 A majority of the girls’ final games were against a tough GPS New Hampshire opponent, with one final match against FC Stars in the U16 pool. Seacoast also secured a championship win in the U13 boys age group, with the U15 and U16 boys earning spots in the finals as well. 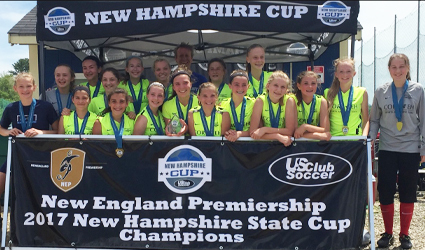 With the club’s continuous growth, the results are evident in the progress of all of Seacoast United’s teams and the NEP State Cup wins are just a small portion of the club’s ongoing success.